snow-flocked christmas wreath - modern wreath. hand decorated christmas wreaths with ornaments. christmas and holiday decoration ideas collection. celebrate christmas with a bit of classic mad-men style: our snow-flocked modern christmas wreath was inspired by mid-century modern holiday decor from yesteryear. love christmas decorations but need something modern? fashioned from snow topped greenery and beautiful ornaments; our fashionable wreath adds a spectacular display to your home and a touch of stylish retro design to any holiday decor. display on your wall or door. wreath comes fully assembled and is ready to hang. 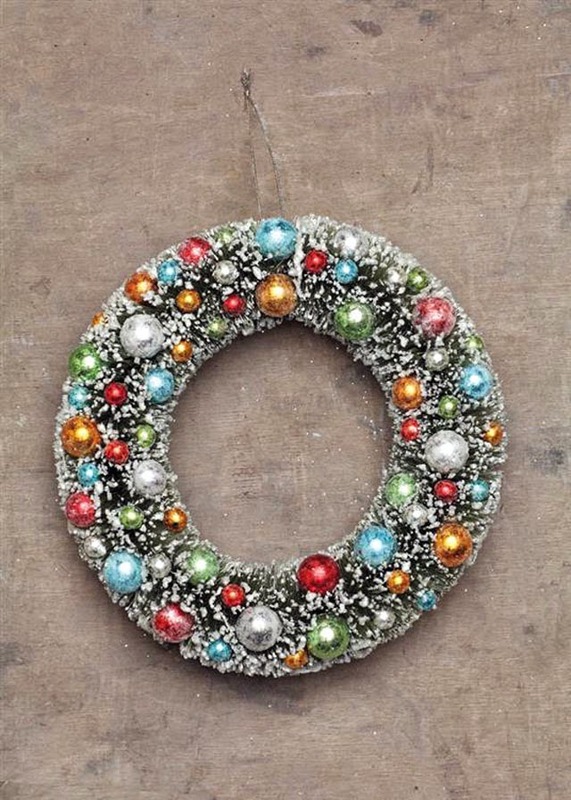 crafted from snow-topped artificial greenery; this wreath can be used year after year. measures about 12 inches in diameter.